The Hoffman Process is a 6½ day residential personal development retreat embedded in a 3 month follow up program. Independent scientific research shows there are long lasting affects in creating higher levels of emotional intelligence, compassion, forgiveness, joy and vitality. The April Process is on wait list, if you would like to join the wait list, please contact us. Our next available Process is 1-7th June and can be found here. People who choose to do the Hoffman Process come with a strong commitment to make positive and lasting changes in their lives. The Process significantly accelerates personal growth and participants report that over time, they are experiencing a fuller and more fulfilled life. Thousands of people have benefited from the Hoffman Process, including celebrities, doctors, therapists and counsellors, actors, musicians, highly successful business people and entrepreneurs, creative people, mothers, fathers, adult children of alcoholics, drug addicts and orphans to name just a few. The feedback we continually hear is how the Process changed people’s lives, how their close family members, friends and significant others witness the deep transformation that blossoms over time, a current that gently pulls them along to do the same. Over the past 30 years, I have seen thousands of people from all walks of life benefit from the Hoffman Process. We receive regular referrals from therapists, counselors and other healthcare professionals. Visit our testimonials page to read a selection of participants and industry experts’ comments on the Process. We hope you will join us for the most positive transformational experience of your life. Volker Krohn, Director, Hoffman Centre Australia/Singapore since 1991. 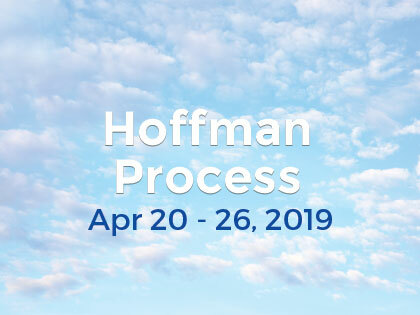 Over the past 50 years the Hoffman Process has been meticulously refined in collaboration with leading professionals from multiple disciplines including mental health, psychotherapy, spirituality and the human potential movement. A selection of healing modalities are incorporated into the program and held by highly skilled, qualified practitioners in a supportively structured, non-invasive culture. These modalities include experiential psychotherapy, family constellation, bioenergetics, Gestalt, emotional release, group therapy, joyful play, meditation, visualisation & journaling. NOTE: Prices & dates are subject to change. Full payment is due two weeks prior to the program commencement. 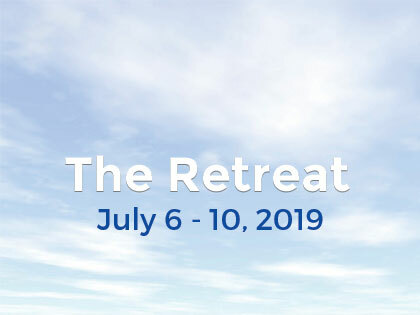 If you cancel or defer your enrolment within 48 hours of the Retreat the full fee is non-refundable. An administration fee of $110 is applicable for deferrals. For any questions, please call +61 (03) 9826 2133 or contact us by email.